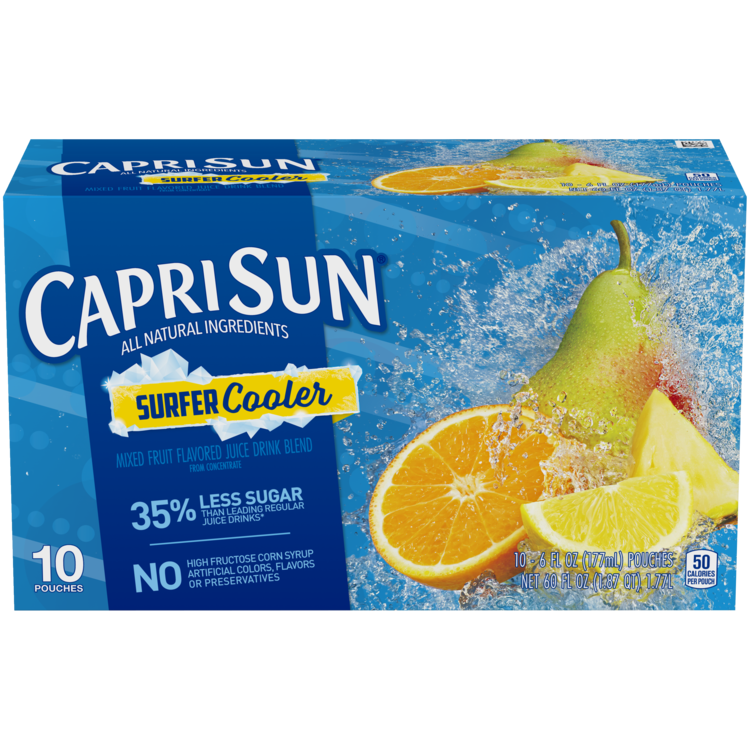 Ride the wave with Capri Sun Surfer Cooler Juice Drink. It's free from artificial colors, flavors and preservatives. Made with all natural ingredients, no high fructose corn syrup and naturally sweetened with sugar. FILTERED WATER; SUGAR; PEAR, ORANGE, AND PINEAPPLE JUICE CONCENTRATES; CITRIC ACID; NATURAL FLAVOR.